Google’s pay-per-click advertising service is called Google Ads. They’re the ads featured at the top of Google search results. The video above explains how it works. Or dive deeper into Google Ads with Bill Esteb by watching his recently recorded webinar. New patient results from SEO are limited to your suburb. Google Ads complements SEO to expand the geographical reach of your practice website. 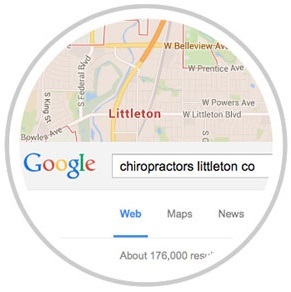 With Google Ads, you can target new patients within a 3 to 5 mile radius of your practice. How many more new patients could you reach? With Google Ads, you can intercept new patient searching admitting complaints such as—sciatica, neck pain, back pain, migraines, scoliosis, whiplash, carpal tunnel, colic, bedwetting and more. In fact, this is a much bigger opportunity than new patients simply searching for a local chiropractor! Once your Google Ads campaigns are setup and performing well, you can turn your campaigns on or off (like a tap) depending on your new patient needs! No other new patient marketing solution offers this level of control to manage your new patient flow. Take a look at how our clients are using our Google Ads service to generate more new patients from the Internet! Perfect Patients is an accredited Google Partner. We have a team of Certified Google Ads Specialists standing by to setup and manage your campaigns. You just need to tell us the suburbs and the admitting complaints that you want to target and we’ll do the rest. We’ll create and manage your campaigns to insure new patient results. Want a review of your current Google Ads strategy? Or… do you want to build a new strategy from scratch but don’t know where to start? 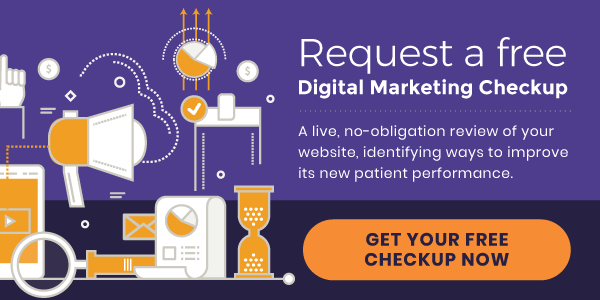 Request a free digital marketing checkup today.